Swadeshi won freedom from corporate imperialism a century ago. India is now the site of a “battle royalty”, in the struggle between localisation and globalisation of power, between freedom for India and its citizens, through swadeshi and swaraj, and freedom of a cartel of three MNCs — selling poisons as pesticides and pesticide producing GMOs. India finds itself (once again) torn between its unforgiven history and uncertain future state. Back in 1857, the sepoys of the East India Company’s private military rose against their indignant monopolistic “masters” in “the mutiny”. The Industrial Revolution brought with it colonialism. Colonies of cotton, indigo, opium (and other) plantations were installed, to feed the machines of the Industrial “Revolution” — patented machines, built by patented machines. The company was (is) a monopoly based on patented machines and patent letters. The Monsanto-Bayer (MOBAY) merger is a mere show. Before the heroin cartel of MOBAY (joint operation of Monsanto and Bayer), there was the opium cartel of America — the Astor, Forbes, Russell, Delano, and Perkins families. Before the gins, spinning mules, jennys, and flying shuttles of the Industrial Revolution’s machines, there was the machine that built the machines. Patented plow, patented gin and patented spinning wheels all based on piracy of Indian intellectual property. The building blocks of this patent letter authorised monopoly were made by Mather and Platt, a Lancashire-based “general engineering” outfit. William and Colin Mather partnered with John Platt (of Salford Iron Works) as Mather and Platt. Ralph Dowson’s Dowson, Taylor and Co merged with Mather and Platt (1913) to form “Indian company Mather & Platt Ltd (India) with sales and order offices in Calcutta in the east and in Bombay to the west, two expanding cities some 1,200 km apart”. The Calcutta operations were run under the guise of Maidan Works, and the Bombay operations under Mather Greaves Ltd, a subsidiary of M&P Ltd. The patents for the chemical processes required by the industrial production of fabric were also the “intellectual property” of the Mathers and Platts, making the entire process of gin to fabric proprietary. Mathers and Platt Ltd was acquired by Wormald International (Australia) in 1978, and later sold to the Jumbo Group — headquartered in Dubai, and headed, until 2002, by M.R. (Manu) Chhabria. The Jumbo Group deals in “white goods”. India did not merely cultivate for the company’s monopoly, it was enslaved by it, in reality and intellectually. As I wrote in my book The Violence of the Green Revolution: “While the technological innovations in the British textiles industry were made possible only through the prior control over the resources and the market, the stagnation and decay of this industry in India was a result of the loss of political control, first over the market, and later over the raw material. The destruction of India’s textile industry necessitated the destruction of the skills and autonomy of India’s weavers. Often this destruction was extremely violent. For instance, the thumbs of the best Bengal weavers were cut off, to cut off market competition when Indian handwoven textiles continued to do better than the British mill products. The impact of the violence, manipulation and control of the English merchants on the Indian weavers started when the East India Company became a territorial power, by defeating Nawab Sirajuddaula, in the battle of Palassi in 1757.” The company was “coronated” after the mutiny, and “nationalised” post-Independence. With neo-liberalism, the company was “privatised”. Through the ages, it has remained steadfast in its self-identity, a “monopoly to a group of 216 nobles and an assortment of traders in regards to any and all trade with the ‘Indies’, essentially the modern-day states of China, India, Pakistan, Bangladesh, Myanmar, Nepal, Sri Lanka, the Maldives and also Thailand, Cambodia, Laos, Brunei, Singapore, the Philippines, East Timor, Malaysia and Indonesia.” Vannevar Bush, scion of the Bush family — champions of neo-liberal colonisation, ran the operations for the Dutch East India Co. from the Philippines. The forced cultivation of Indigo has been replaced by 300,000 farmers who have been pushed to suicide through debts, but the enslavement is worse. Machines replaced weavers, machines replaced farmers, now MOBAY — one face of the many-faced Cottonopolis — would like to machine life-itself. The attempted legitimisation of slavery on a global scale, has to be resisted through localisation of and for local communities — through local resources owned locally. Localisation meant swadeshi during the freedom struggle. Localisation is swadeshi in the contemporary struggle for seed freedom and food freedom. We must unchain the spinning wheel (charkha) of our nation’s mind (chakra), from the ball of new-age colonialism. We must reupholster our nation with Indi-an fabric, and put a boycott on videshi toxicity and their “Green Revolution” chemicals. Indigo slaves organised the indigo satyagraha (satya — truth, agraha —force), refusing to produce indigo for the industrial system of England. We have been fighting the patented-recolonisation, of our fields, in our fields, for decades, and will continue to do so until India is free of the poison cartel — this is the seed satyagraha. If we have the freedom to save, and seed our own freedom, we share our freedoms. If we have to subscribe to a genetically engineered freedom, we are renting an enclosure, sharing on our “walls”. Whatever Monsanto and Bayer’s lawyers and accountants say, in the realm where ideas are properties, the two companies are only a two-face mask of one multi-headed demon. They share a lengthy history and a fused parasitic future, one in which there is no room for farmers, health or real food. The toxic cartel has been allowed a letters-patent monopoly to poison India, for far too long — from the Bhopal disaster to the current failure of Bt cotton in Punjab, from the cancer epidemic to the diabetes epidemic. MOBAY (and the rest of the toxic cartel) cannot be allowed to poison India’s maati any further. We must return to our organic way of production and consumption, devoid of the poisons in the middle. It is clear that every step leading to the current buzz around Deepak Pental’s (illegal) Bayer-patented mustard has been a clandestine operation. Data that is mandated to be made public, by the Supreme Court, is being covered up. The text of the Patent Act is impossible to find on the Internet, and is likely being modified behind closed doors. In response, we will continue the seed satyagraha that we started in 1987, and the sarson satyagraha we started in 1998 — when global agribusiness manipulated a ban on our indigenous mustard to flood our markets with subsidised hexane-extracted GMO soya oil. Now the same foreign interests are giving a spin of GMO mustard as a solution to the crisis they engineered in 1998. 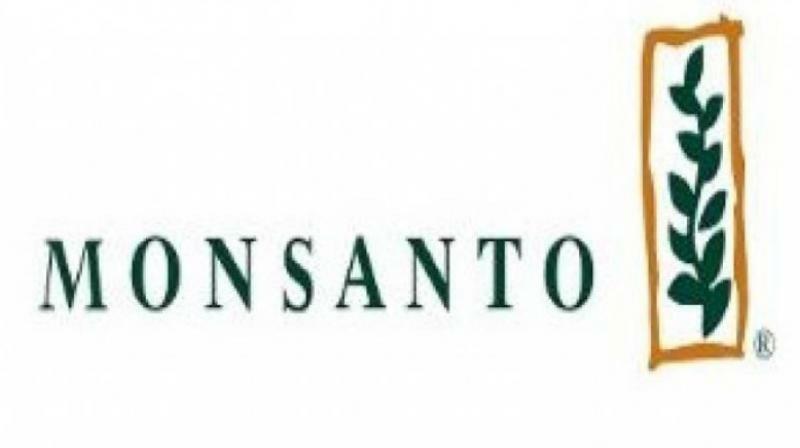 We will be trying these giant corporations, for their crimes against nature and humanity, at the Monsanto-Bayer Tribunal in The Hague this month. And in 2017, to celebrate a hundred years of the Champaran satyagraha, we will be organising a satyagraha yatra, for freedom from the slavery being imposed by MNCs, through poisons in our food and farms, and toxic and patented GMO seeds. Swadeshi won freedom from corporate imperialism a century ago. Our localised earth family will win the epic battle against globalised corporate imperialism. We will shape a future of our food and of our planet, with our hands, without the toxic products and toxic corruption being spread by the poison cartel.